Giving Syria A Chance Against Tyranny: Bashar Al-Assad Says Russian S-300 Missiles Have Arrived In Syria! It is a fact now that the so called "rebels" in Syria, who are actually nothing more than paid for murderous mercenary thugs by the criminals in both the US and Israel, are badly losing their war against the popular Bashar al-Assad government forces....Everywhere across Syria these murderous mercenaries are losing battle after battle, and there is a strong chance that all of Syria could be free of these mercenaries, and foreign intervention, very shortly.... This is why the criminals in both the US and Israel are now pushing for a "no fly zone" over Syria, as a prelude to open invasion of that innocent nation. However, the Syrians have long been making preparations to defend their airspace against a criminal "no fly zone" by purchasing Russian built S-300 anti-aircraft missile batteries. These batteries using advanced surface to air missiles would make enforcement of any "no fly zone" nearly impossible, and the criminals in the US and Israeli governments know this... 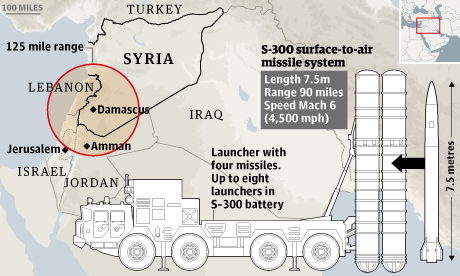 Therefore we have seen the threats over the last few weeks, especially by the criminal Israelis, that delivery of these S-300 batteries to Syria would change the entire dynamics of the Syrian "civil war", and could lead to direct invasion of Syria by Israel itself! The Syrian president, Bashar al-Assad, has said Russian anti-aircraft missiles have arrived in Syria, Lebanese TV has reported – a claim likely to dramatically increase tensions in the region and which could provoke the Israelis to launch a strike against the weapons. 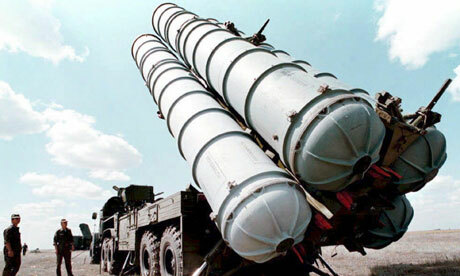 In an interview with the al-Manar channel, to be broadcast on Thursday, Assad reportedly confirmed that Moscow had begun to deliver the long-range S-300 air defence rockets. "Syria has received the first shipment … All our agreements with Russia will be implemented and parts of them have already been implemented," he said. Assad also claimed that his forces were winning the battle on the ground and had scored "major victories" against the armed opposition. "The balance of power is now with the Syrian army," he told the TV channel, which is owned by the Shia militant group Hezbollah, whose fighters support the Assad regime. The deal between the Kremlin and the Syrian government has been in train for some time. But the S-300 shipment, if confirmed, appears to be Russian retaliation for the European Union's controversial decision this week to lift an arms embargo on Syria. Britain, France and states in the region such as Turkey are now actively seeking to arm the country's moderate rebels. There was confusion on Thursday in western capitals as to whether Assad's claim was true. US officials said they had no evidence that the S-300 shipment had arrived. One high-ranking Israeli official said: "We are trying to find out exactly what the situation is but currently we just don't know." Analysts said it was possible some elements of the S-300 system – made up of launchers, radar and a command-and-control vehicle – had turned up but doubted the system was yet operational. Nonetheless, senior Israeli figures signalled the possibility that Israel could now launch a pre-emptive attack on Syria with a view to destroying the S-300s, which it sees as an existential threat. Earlier this week the defence minister, Moshe Ya'alon, said Israel could not afford to allow the new system to become fully functional. The Israeli official added: "This move will certainly change the whole dynamic [of Israeli involvement in the Syrian conflict]. This is mostly as a result of the EU's reckless decision to lift the arms embargo. I don't know if the shipment of the missiles was a direct result of that decision, but it certainly gave the Russians a pretext to go ahead and do what they wanted to do in the first place. If they had any misgivings, doubts about the timing, the EU decision rid them of these." Others went further and suggested there was a genuine prospect the Russian delivery could trigger a destructive Israeli-Syrian war. Earlier this month, Israeli warplanes struck targets near the capital, Damascus, reportedly wiping out Iranian missiles destined for Hezbollah. Syria did not respond. "I'm quite convinced that the more times we attack, there will be accumulative pressure on the [Syrian] regime to react," Shlomo Bron, a senior Israeli security figure, said. "It's difficult to know when and where this breaking point will be. But the likelihood of a very real flare-up between Israel and Syria is much higher than it used to be." Major General Giora Eiland, a former Israeli national security adviser, added: "If we do do something soon after the transfer, we might have business not only with Syria but with the Russians. This is a real hot potato." The Foreign Office described Russia's move as unhelpful. It said Damascus had proved itself "incapable of using its weapons systems proportionately or discriminately" and had fired lethal Scud missiles against its own cities, such as Aleppo. The focus should now be on the political process, the Foreign Office said. But attempts to convene an international peace conference next month in Geneva appeared to be on the brink of failure after Syria's opposition announced it was pulling out. The fragmented National Coalition for Syrian Revolutionary and Opposition Forces said it would not participate in "meaningless" talks while the Assad government continued to massacre Syrian civilians. It also decried "Iran's malicious invasion of Syria" – a reference to Iran's active role in the conflict on the side of Assad. Tehran has dispatched Revolutionary Guards to train pro-government militias, and is a key sponsor of Hezbollah, which has vigorously supported the Syrian regime. US, Russian and UN officials had been due to meet in Geneva next Wednesday before the conference. The developments on Thursday raise fears that the two-year Syrian struggle is morphing inexorably into a high-stakes regional war, as well as a cold-war-style proxy conflict pitting an implacable Russia against the west. Russian officials did not comment on Thursday on whether Assad's claims were true. Previously, however, the Kremlin said it had agreed to deliver the S-300s to Syria before the civil war erupted, and added that the S-300s could help reduce tensions by deterring what it called "foreign interference". The Washington Post on Thursday published a leaked document suggesting Moscow supplied the Assad regime with 20,000 Kalashnikov assault rifles and 20m rounds of ammunition in March alone. Assad's comments on Thursday suggest the Syrian government has been emboldened by a series of recent victories over the rebels, and is now working on the assumption that it will defeat the insurgency. On Wednesday, Syria's foreign minister, Walid al-Moallem, told Lebanon's al-Mayadeen TV that Damascus would retaliate immediately if Israel struck Syria again. He also said there was no prospect of Assad stepping down before his current term expired in 2014, and signalled the president might run for office once more. On the ground, Assad's forces are closing in on the strategic town of Qusair after taking control of the area following a bloody two-week battle with opposition forces. The Syrian army seized the nearby Dabaa airbase on Wednesday – a major blow to the rebels in Qusair, an overwhelmingly Sunni town in the western part of the country that the opposition had controlled since early last year. The town lies along a land corridor linking Assad's two key strongholds: the capital Damascus and his Alawite heartland along the Mediterranean coast. For the rebels the town has been vital in maintaining a supply line – of fighters, guns, ammunition and other supplies – to Lebanon, just six miles away. On Thursday the opposition National Council said more than 1,000 wounded people were stuck in Qusair, and encircled by regime forces. "It is not reasonable, it is not logical that people and civilians are getting killed minute by minute while the international community carries on in a standstill," Khalid Saleh, a spokesman for the council, said. NTS Notes: This is great news for the proud people of Syria indeed! These missiles once fully deployed will even the odds against the criminals in both the US and Israel that seek to have that innocent nation destroyed.. I want to make it perfectly clear that I fully support the proud and innocent nation of Syria in this war of aggression by the criminals in the US and Israel... Every nation has the right to defend themselves, and these S-300 missile batteries are absolutely for defensive purposes only and within Syria's right to obtain..... The Israelis and the Americans have absolutely NO right to violate Syrian airspace, period, and the Syrians have every right to shoot down any intruders into their territory under every aspect of international law. Understanding The True Enemy Of Mankind: What The Heck Does It Mean To Be "Chosen"? I look upon all people as equal, and that NOBODY is superior to anyone else.... The bottom line is this: The entire premise of a "Chosen People" shows the entire fraudulence of the religion of Judaism itself, in that it teaches hatred and wrongful superiority over all other people on Earth.......It is time for these individuals to quit thinking they are better than all other human beings and actually try to join the human race! It is therefore so sad that there are still those gullible suckers out there that actually believe the laughable lie that Osama Bin Laden died in a Navy SEAL assault on a "compound" in Pakistan over two years ago on May 2nd, 2011. It is so sickening to see the LIARS in both the US government, and the Jewish controlled media, continue to perpetuate this story to the American suckers... And we all know that Jewish controlled Hollywood jumped on the fraud bandwagon as well with their sickening piece of pure bullcrap called "Zero Dark Thirty" that actually won a laughable Academy Award earlier this year! Osama Bin Laden was not shot dead by Navy SEALs but instead blew himself up with a suicide belt, the terror leader's former bodyguard has claimed. In a claim that counters previous reports, Nabeel Naeem Abdul Fattah said that the al-Qaeda chief triggered his explosive belt when U.S. Special Forces broke into his compound, killed two of his guards and shot him in the thigh as part of 'Operation Geronimo'. Speaking in an interview, Abdul Fattah conceded he had not been present at the time of Bin Laden's death but instead was told 'what had happened' from one of the terror leader's relatives. 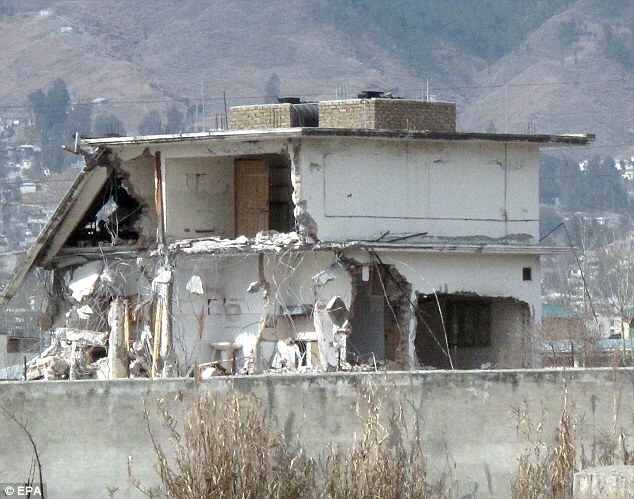 The account of Bin Laden's death at his Abbotabad compound on May 2, 2011 is being seen as the latest in a string of propaganda by his supporters. Abdul Fattah told Gulf News he found the official story about the leader's burial at sea 'fishy' and accused US President Barack Obama of lying. Abdul Fattah said he had blown himself up to avoid capture and to 'keep his secrets' until death. Abdul Fattah claimed that Bin Laden had been wearing an explosive belt over the last ten years of his life. He was adamant he would not 'give himself up' to the Americans, he added. 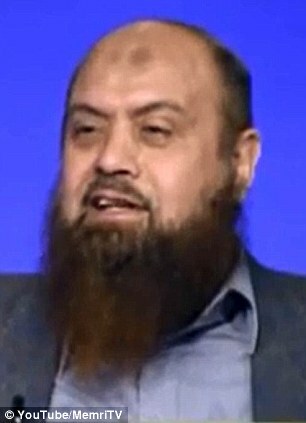 There have been several accounts of the final hours of the terror leader's death. GUARDING TERROR: WHO IS NABEEL NAEEM ABDUL FATTAH? Nabeel Naeem Abdul Fattah was the leader of the Egyptian Islamic Jihad between 1988 and 1992. The 57-year-old, who was interviewed in Al Zaher, Cairo, did not say when he had been a personal guard to Bin Laden. But he had been locked up by former Egyptian leader Hosni Mubarak for 20 years, and was only released from prison in March 2011, shortly after his fall, Gulf News reported. Egypt's Al Jihad organization has been active since the 1970s, with the goal of overthrowing the Egyptian Government and replace it with an Islamic state. It has now broadened its aims to include attacking U.S. and Israeli interests in Egypt and elswehere. Gulf News notes how the organization helped give birth to Al Qaida, and that Abdul Fattah was once 'the right arm' of Ayman Al Zawahiri, who now heads Al-Qaeda. He told the paper that he was the person who sent Mohammad Atta - the lead pilot of the 9/11 attacks - to Afghanistan. 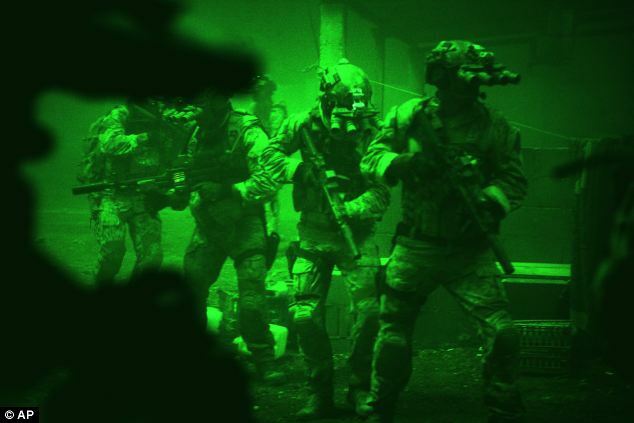 Just after midnight on the morning of May 2, 2011, 23 commandos and their interpreter attacked Bin Laden's compound. They shot and killed his two bodyguards, one of his sons and the wife of one bodyguard. The first three soldiers to reach the top floor of the house, where Bin Laden's bedroom was believed to be, were 'the point man', 'the shooter' whom magazine Esquire profiled, and the now-famous Matt Bissonnette, another Team 6 member, whose account was published in best-selling book No Easy Day, which was written under the pseudonym Mark Owen. All of these previous three accounts are in agreement. The Shooter told Esquire that Bin Laden peered through his bedroom door and the point man shot at and either missed or lightly wounded him, before tackling two women nearby. The Shooter claims he then ran alone into the room where he found Bin Laden hiding behind one of his wives, perhaps using her as a human shield. Seeing a gun 'within reach' he shot the Islamist twice in the head. Another account emerged in March, which claimed that the point man shot and gravely wounded Bin Laden. CNN security analyst Peter Bergen reported that the point man then leapt on the two nearby women - to absorb any explosion in case they were wearing suicide vests. Then two more SEALs went into Bin Laden's bedroom and, seeing he was mortally wounded, finished him off. The account is similar to that given in No Easy Day, where Bissonnette says he was one of the first in the room, saw Bin Laden close to death, then finished him off as he lay on the floor. This is one of the most convoluted and distorted pieces of crap that I have read in a while... And these fools at the Daily Mail actually think anyone will believe this garbage??? It does make me wonder though.... The US government has been caught recently unable to answer critics about the lack of pictures of Bin Laden at this "compound" in Pakistan....Now with this report that this guy who was already dead for over 9 years used a "suicide belt" to "blow himself up", these criminals may use the "excuse" that the suicide belt blast badly disfigured the face of the dying Bin Laden making pictures impossible..... And therefore...Their long sought excuse as to why no pictures are available... How convenient! One other note... I am sick of the constant portrayal of Osama bin Laden being a terrorist... He was a CIA operative, and his entire Al Qaeda organization is a US/Israel bought and paid for sham..... Osama bin Laden had absolutely NOTHING to do with the Israeli attacks of 9-11, and was used as the fall guy for those attacks..... Bin Laden even came forward after the attacks and stated that he had nothing to do with the 9-11 Jewish assault on America, and pointed the finger at the real perpetrators behind the assault.. The so called "Government within the US Government"... AKA the Jewish control structure that controls America.... It is so important that all Americans finally wake the hell up to that reality! 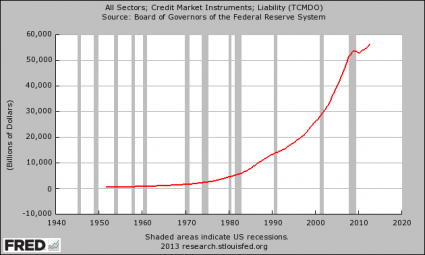 America Is Finished: 40 Statistics About The Fall Of The US Economy That Are Almost Too Crazy To Believe! I am indeed worried about where the economy here in Canada is going these days... Here in central Canada, there are less and less people purchasing big ticket items, and although most of the local shopping malls are full of people, few are actually buying anything! It does seem that there are indeed fewer Canadian dollars to go around, and the result is a severely weakening economic outlook here.....They call it a "recession" but I am leaning now on it being more of a full scale DEPRESSION! 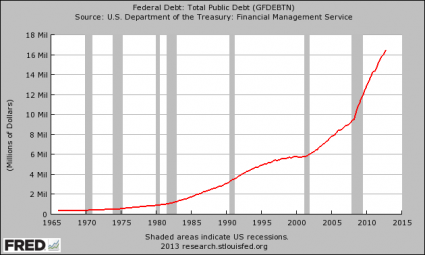 #2 During Obama's first term, the federal government accumulated more debt than it did under the first 42 U.S presidents combined. #24 According to the U.S. Census Bureau, more than 146 million Americans are either "poor" or "low income". #26 Overall, the federal government runs nearly 80 different "means-tested welfare programs", and at this point more than 100 million Americans are enrolled in at least one of them. #35 As I mentioned recently, the home ownership rate in America is now at its lowest level in nearly 18 years. 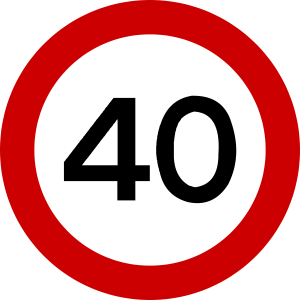 #40 According to one calculation, the number of Americans on food stamps now exceeds the combined populations of "Alaska, Arkansas, Connecticut, Delaware, District of Columbia, Hawaii, Idaho, Iowa, Kansas, Maine, Mississippi, Montana, Nebraska, Nevada, New Hampshire, New Mexico, North Dakota, Oklahoma, Oregon, Rhode Island, South Dakota, Utah, Vermont, West Virginia, and Wyoming." 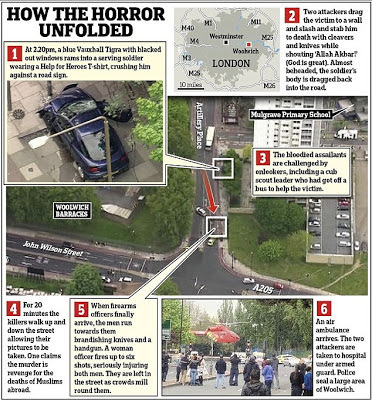 With the previous false flag attacks in the United States already being shown clearly to be massive criminal operations, and not as the mainstream media portrays...Why do people refuse to place this Woolwich "beheading" attack in the same context? I mean... Come on, now, people!.... There are now dozens of videos, and photographic evidence that show definitive proof the Woolwich attack was a staged (and very poorly done) operation. Has everyone neglected to look at recent revelations that British Intelligence actually attempted to hire the "killer" months before his alleged "attack"?...In spite of the evidence of Woolwich being a fraud, the vast majority of people believe the outright lies perpetrated by the Jewish controlled media instead! 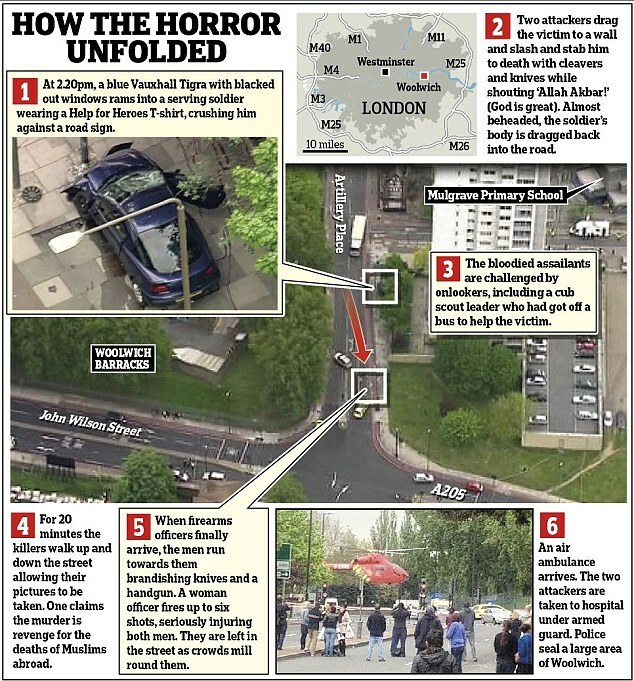 It is so pathetic to see that these criminals can now blatantly botch an operation such as Woolwich, and yet the public swallows the BS media lies without even thinking. I for one am standing firm on calling this Woolwich operation for what it is... A planned operation to stir up racial hatred in the United Kingdom, and to trigger race wars across the entire nation. That and to get the passage of the recent bill in the UK House of Commons that would allow UK officials and police legal access to every British citizen's personal communications. It does indeed seem now that with this newest "terrorist" attack, this outrageous freedom stripping "snooping" bill will pass through and become law with little opposition! People must understand the truth about the situation in Syria.... The facts are that the Syrians are winning this war, and the so called "rebels" have been fractured and are now on the verge of total defeat. This is why the criminals in the US, Israel, and NATO are still pushing for their "no fly zone" over Syria as a prelude to invasion of that peaceful nation. 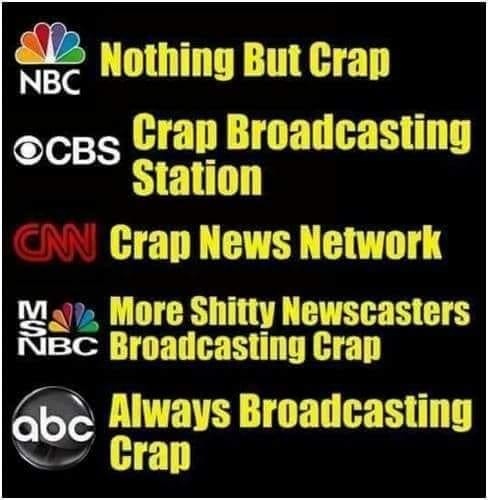 Again, anyone can turn on the Jewish controlled news services and see absolutely no reports of the pending total defeat of the murderous "rebels". The real wild card in this war on Syria is of course Russia, which will not stand idly by and watch the criminals in Israel and their puppets in NATO and the United States destroy that innocent nation. This is why the Russians have moved at least 14 surface ships to ports in Syria, and have made good on the delivery of the S300 antiaircraft missile systems for the defense of Syrian airspace.... This means that the criminal Israelis and their American puppets have to reassess their push for war on Syria, because such a war could mean war with Russia itself! Of course, while the debacle in Syria was going on, the American public was inundated this last week by the ongoing scandal in the Soetoro White House concerning last year's botched Benghazi operation. I have not placed any articles in this blog on this fiasco, simply because I do look upon this as a distraction for the dumbed down American public while both their economy collapses, and America continues to plan for wars for their masters in Tel Aviv. But to answer a few who want me to comment on this Benghazi fiasco, I will lay it out right here.... Soetoro and his cohorts planned the Benghazi operation to make him look like a hero and "presidential" during the time that many doubted that he could get re-elected in 2012. The problem was that the entire operation was botched from the word go, and since that time, Soetoro and his spin doctors have been doing everything possible to reduce the damage to his presidency.... I look at the Benghazi operation as definitely an impeachable offense, and that bum should be thrown out of office immediately... And as far as his then murderous Secretary of State, Hillary (Killery The Kackling Kanckled Klotting Killer Kommie) Rodham Clinton should also be in jail for her part in that botched operation, and end her sick dream of becoming President of the United States in 2016. I see this week that the US Government has again refused to provide any pictures of their agent, Osama Bin Laden, (Tim Osman) who was ..ahem.."killed" in that great operation on a "compound" in Pakistan back in May 2011..... The facts are again that there are absolutely NO pictures of Bin Laden from that operation... But how could there be? 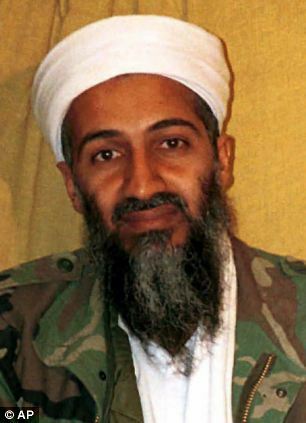 US CIA agent Osama Bin Laden died of complications due to kidney failure in the Tora Bora mountain area of northeastern Afghanistan way back in December, 2001. 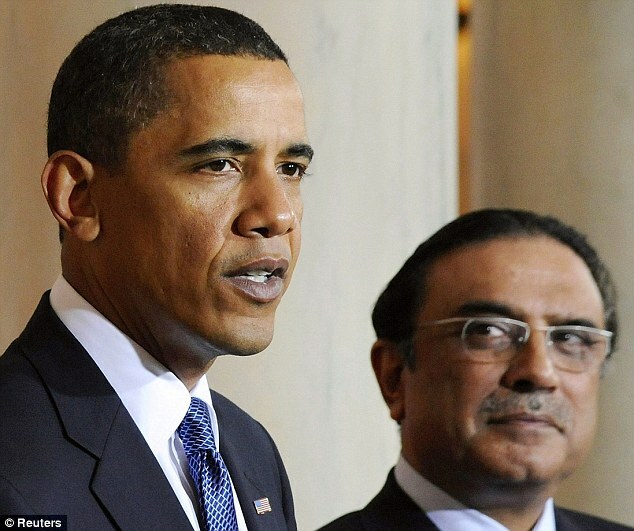 I am puzzled that the American public still cannot see through the entire deception of that fraud Pakistan compound operation that absolutely did not get a man that had already been dead for over 9 years... But the American public is too dumbed down by chemicals now and believing the Hollywood hoax called "Zero Dark Thirty" to actually ask hard questions of their own government..... Pathetic indeed! Great Article By John Friend: London "Beheading" - Responding To Critics! I have known John Friend now for several years now, and I have watched his work at his blog: "John Friend's Blog" at www.john-friend.net, grow by leaps and bounds over that time.... Recently however, I have watched as John has been associating more with the so called "Christian Identity" crowd who also can sometimes be labeled as "White Supremacists".... I had warned John before to be careful of these groups and his association with them.... He understands that we have our differences in opinions when it comes to what they stand for. But in spite of these differences, I have said that I would still support his work as a friend, and would be there for support if and when he needs it. Her courage was shown by broadcasters and newspapers around the world,winning her international praise. NTS Notes: I am in agreement with John in that this "London Beheading" is a massive con job... It has been done for the purposes of both creating PURE HATRED of both Blacks and Muslims in the UK, fomented solely by the Jewish interests that want a racial war to break out to tear English society completely apart.....AND as John states, to bring in that latest legislation for the criminals in the UK government to legally spy on the private communications of all the citizens of the UK! I also want to thank John for using true critical thinking and rationality in seeing this attack as not done by some "Crazed Islamic Black Terrorist" as has been harped on by the Jewish controlled media, but instead being a massive Jewish criminal created HOAX to both create racial tension, and to take more of our freedoms away.